Did you know that annatto was historically used as body paint, sunscreen and even as an insect repellent? 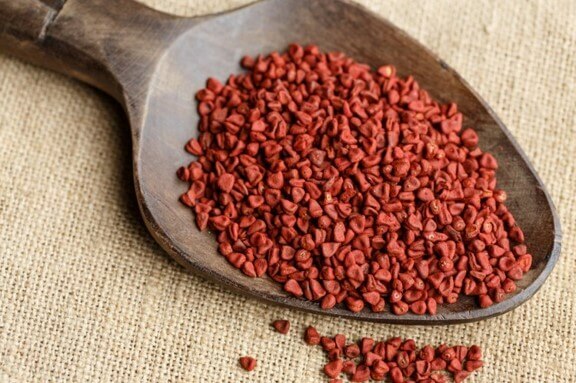 It is known under different names: annatto, achiote, onoto, atsuete or urucum, depending on the region. 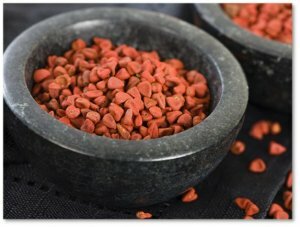 Annatto seeds are processed to obtain pigments that offer shades ranging from pale yellow to peach reddish-orange, depending on the concentration used. These are the carotenoids known as bixin and norbixin, commonly used to improve the color and appearance of products. processed food products. Its derivatives include powder, liquid and oil suspensions. The current preference for natural dyes has considerably increased its demand in recent years, especially for products as versatile as annatto. In addition, this natural colorant can provide health benefits: Helps fight bacteria, contains antioxidants, prevents bone disease, keeps your heart healthy, helps heal wounds, promotes eye health and protects the liver. Processed cheese, cream cheese and cheese in sauce. Annatto’s colorants produce yellow-orange ranges in processed cheeses, although adjustments can be made to these shades by combination with other pigments. Breaders for meat, chicken, fish and products such as onion rings can enhance your appearance. Margarine, Oils and Vegetable Butter. Brilliant and fresh tones can be obtained with the use of bixin extracted from annatto. Different shades can be obtained by combination with other pigments. Dairy products and meat sausages. If you are looking for a final product between yellow or orange, yogurt and other dairy drinks can be coloured with Annatto. Also, in the sausages, a spicy type color is imparted or magnifying the natural flesh color. Bakery products, pasta, processed cereals, snacks. Depending on the processing methods the natural dye Annatto highlights the color of these products. 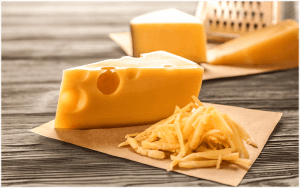 The snacks can be coloured with bixin in oil, yellowish to reddish-orange tones ideal for cheese flavoured products. Ice creams, fruit juices, sauces, dressings. These foods can be colored with annatto soluble in water, which provides a yellow to orange color, preserving the brightness and transparency depending on the product and highlighting the freshness.